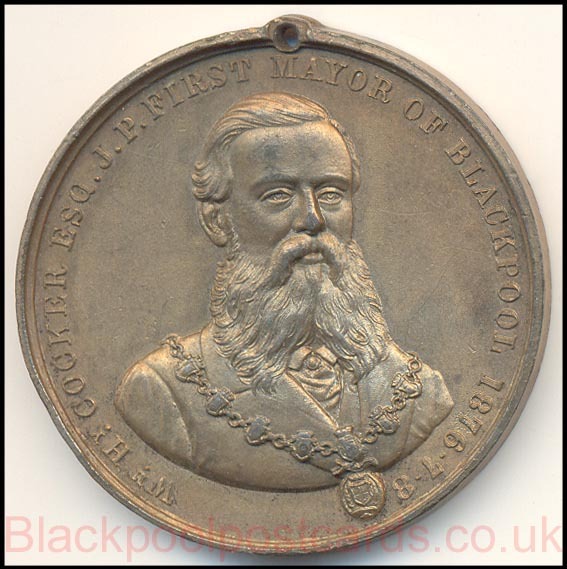 First Mayor of Blackpool 1876-7-8. William. Henry Cocker Esq. J.P.
An Evening Gazette feature about William H Cocker, with extracts from Ted Lightbown. Blackpool received its Charter of Incorporation and became a Municipal Borough on January the 21st 1876 and “Progress” was chosen as the town motto. Owen John Oyston (born in County Durham in January 1934) is a controversial self-made multimillionaire English businessman who is the majority owner of Blackpool F.C. At the age of two, Oyston’s family moved to Blackpool. He was educated at St. Mary’s Catholic College. He left school at sixteen and started his career as an actor. He briefly starred as a barrister in Granada TV’s 1970s afternoon television courtroom drama series, Crown Court.